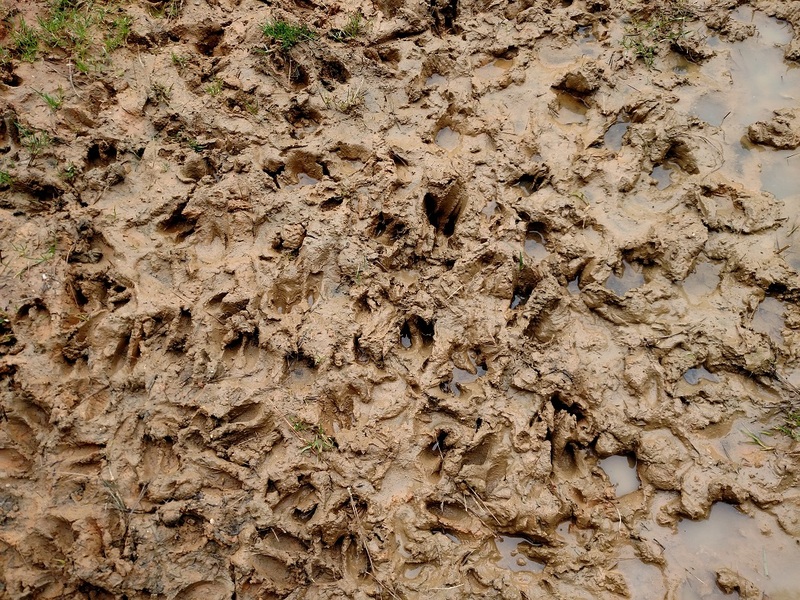 Discussion in 'Food Plots for Wildlife' started by Buckeye, Feb 10, 2019. Does anyone have any good recipes for homemade deer minerals. In the past I been mixing di-calcium phosphate,trace minerals,stock salt, and the last couple years I been mixing in a box of Arm and Hammer washing soda supposedly it’s one of the main ingredients in deer cocaine. If you've got a high deer pop, I could see it being worthwhile. If you don't, I might just try to track down some redmond blocks. One thing we overlook when thinking about this is resilience. I can get over 2 full years out of a block on my place. That is with high rain and a lighter deer pop. Average usage of the block is 6 deer. I just put out a mix of 600 lbs of white salt and 600 lbs of trace mineral. That went into a total of 12 mineral sites on 810 acre. 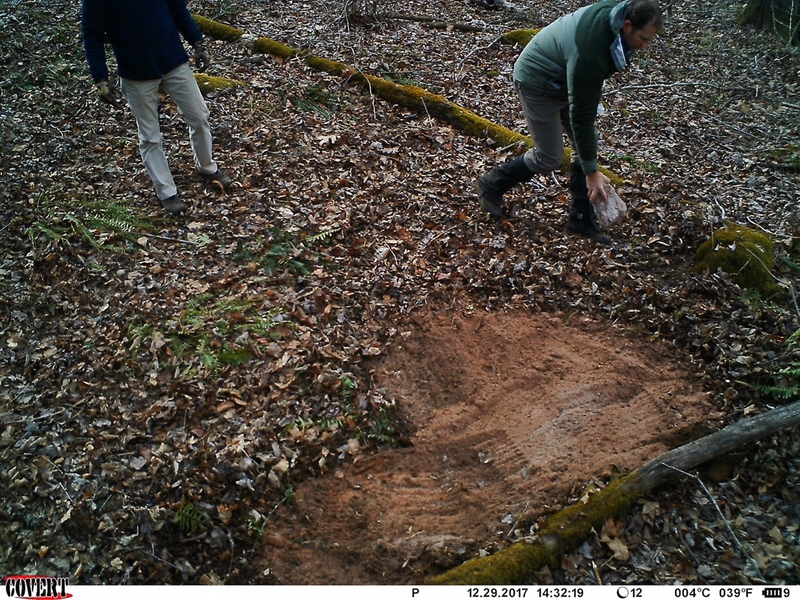 Our mineral sites definitely do get used, but I have not found one, non bias study, that shows the minerals are of any benefit or can get efficiently used by the deer. Now, the deer do need salt, especially at spring green up. The deer are eating such lush food, full of water, that the salt helps remove it. Deer definitely need salt, are attracted to it and most of the store bought minerals, contain a high percentage of it. I really don't know much more than that, but below is some general information. Eshoremd, Chipdasqrrl and Buckeye like this. It would be interesting to test clover nutrition on an expertly amended clover plot, and completely unadultered clover of the same variety. I'm curious to see what the differences in tissue tests would be. catscratch, Jeff H and FarmerD like this. 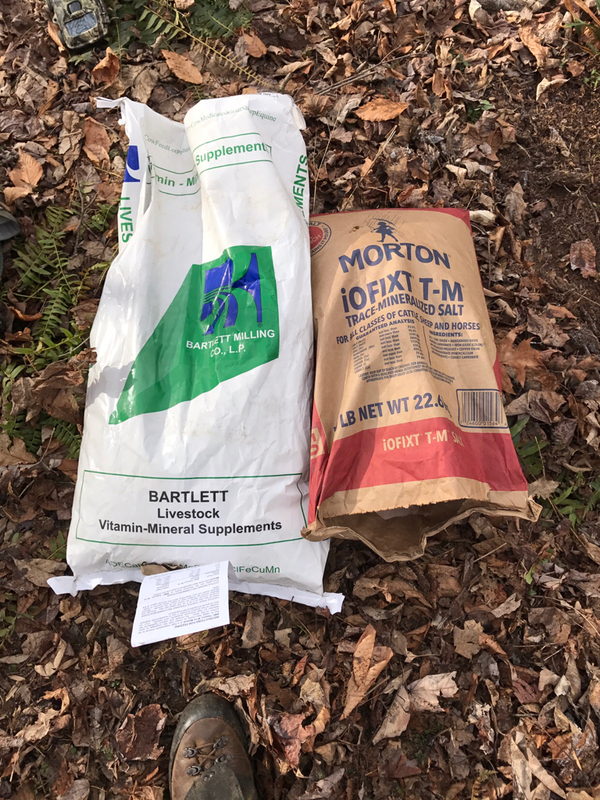 I use the TSC trace mineral blocks or the ones from my local feed store, but I have no reason to think that I'm improving anything about a deer's nutrition. Maybe I am, but my thinking is.....what can it hurt ? 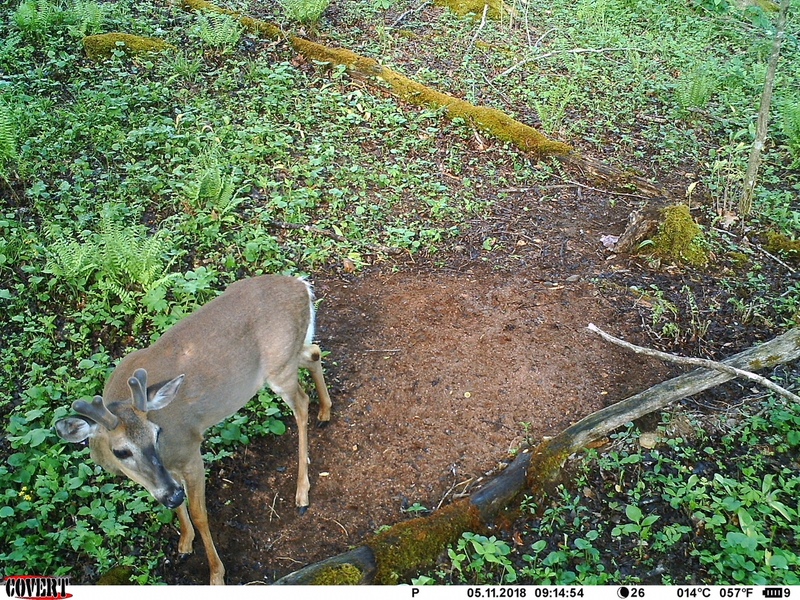 I just like to get velvet pics and watch the antlers grow. They do use them quite a bit, and of course, so do the hogs. Every time I pull cards, I have to roll one or two of them back in front of the camera. I have the same thoughts about "just how much does it actually help?" but have a mineral site anyway for my camera. I've seen plenty of studies that suggest mineral supplementation does not help a wild herd grow bigger antlers. With that said I do feel that the minerals gained from the food they eat helps so I spend time supplementing the soil with deficient minerals and planting species like Chicory (which is great at mining minerals) so that they are getting these things on a daily basis through their food. As with others, I've found salt to make the site more appealing. I have never tried it but some people say put flavored koolaide mix in the lick. Have any of you tried that trick? I don't know if it does the deer any good, but I know in late July and August I can get a picture of every buck in the county over Trophy Rocks. I've done such a test. It was by accident and certainly not expertly amended but the result was dramatic. I planted a new clover plot in a area that had an established mineral site. 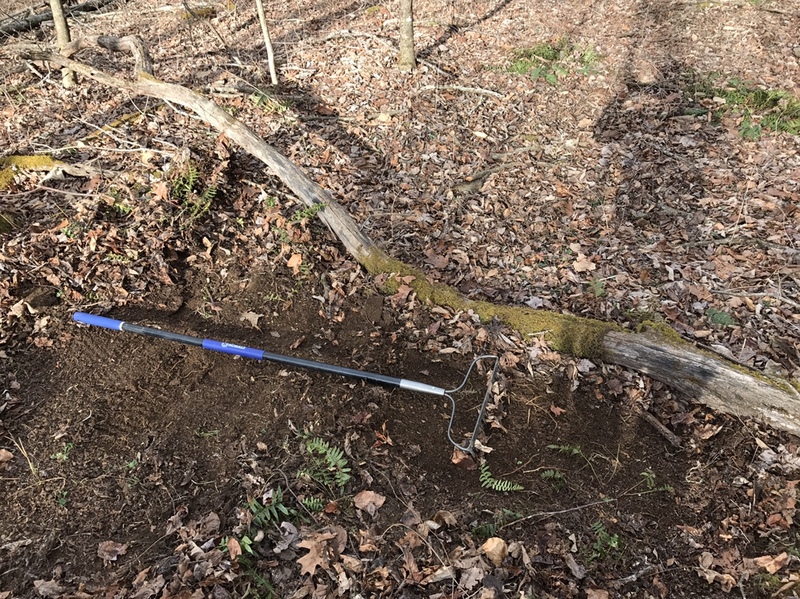 The clover in that specific area grew faster and larger, than the rest of the plot and once discovered by the deer was eaten down to the dirt while the rest of the plot was lightly browsed. I emailed a biologist at Mississippi State with my findings/pictures. He mentioned that clover has a very high salt tolerance and that the salt/minerals probably were transferred into the plant tissue. Neat. I've seen the same with intentional fertility. I never thought white clover could be a smothering cover crop, but well fed, and it can be impressive. It's the only thing I've ever seen crowd out ryegrass. Jeff H your discovery is very interesting to me as we are not allowed to bait deer which a mineral site would be. However feeding salt and or minerals to clover sounds like a legal fit here. How large was the specific area that grew faster and what did you have in the mineral site? At the very least you are saying that you have discovered a way to treat and grow clover that deer prefer over possibly all other clovers not treated. That is HUGE! Grant Woods has been testing this with a product from Trophy Rock. I've been watching that too, and I'm not sold on a salt heavy blend of nutrients. Lots of good things can be done with regular fertilizers and a little work with micros. I think the salt spreading tactic is a solution that was never needed in feeding ban zones. He can likely get away with it cause most of his plots are on ridges and coarse rocky soil. If a guy was loading up a flat poorly drained plot with salts like that, it could create an un-fixable problem. Redmond Mine company makes Trophy Rock. They also make a 30lb block called “#10 block” which is for deer. I use to buy Trophy Rock until I discovered this.I set the two side x side in front of camera and they didn’t prefer one over the other. The only difference is the price. Wish I could find those blocks around here. I usually buy bulk as an inexpensive way to provide mineral and salt. It seems to get used just as often as the high dollar trophy and Redmond mineral blocks. I will occasionally purchase those out of convenance for hard to reach areas. The bulk mineral I mix is 50/50 salt and a trace mineral that contains salt but much higher trace mineral as well.